Former NASL champion and Golden Boot winner Tommy Heinemann was recently released by FC Cincinnati in what he and his agent are calling a breach of contract. The club claims it was after Heinemann failed an entrance medical. SocTakes looked into USL contracts to find what they might reveal regarding the striker’s situation. Regardless of the conclusion of this drama it is a near inevitability that Heinemann will land somewhere and find time. The striker has shown ability in the NASL and could serve as a depth player for MLS or a starter in USL. 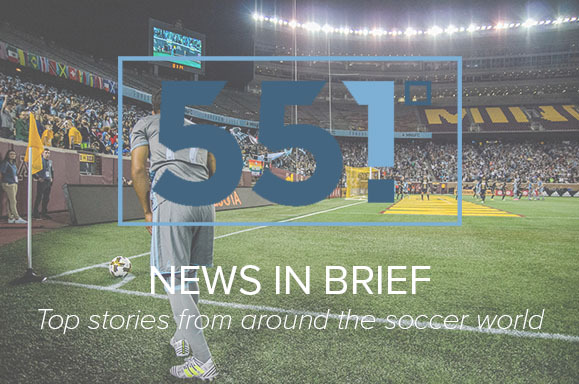 Minnesota United FC’s television deal for 2018 has been revealed by Andy Greder at the Pioneer Press. Fox Sports North (FSN) partners with the Timberwolves, Wild, and Twins and has added a fourth team to its network. The official announcement is expected shortly. Greder also revealed that Callum Williams, Kyndra St. Aubin, and Jamie Watson will return to United’s broadcast. Brad Baker, longtime director of broadcasting for MNUFC, has left to join USL as their VP of Broadcasting.